Reynolds too, despite being the foremost portraitist of his age, was often forced to take refuge from the demands of portraiture, and focused instead on subject pictures (he painted very few landscapes). 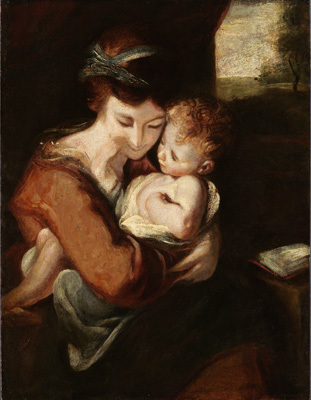 Works such as ‘The Strawberry Girl’ [Wallace Collection, with another version at Bowood House] and ‘Nymph and Cupid’ [Tate] were hailed as masterpieces during Reynolds’ own lifetime. He particularly focused on subject pictures in the later years of life, after problems with his eyesight forced him to abandon portraiture.